With Labor Day recently behind us, it’s a good time to focus on how your business pays employees. Payroll reporting doesn’t have to be a laborious process. Consider using an outside company to manage your payroll function. Here’s why payroll outsourcing may be beneficial and how a service audit can provide assurance about your payroll provider’s internal controls. Payroll can be an administrative nightmare if done in-house, especially for smaller companies. In addition to keeping up with employee withholdings and benefits enrollment, you must file state and federal payroll tax returns and follow union reporting requirements. Outside service companies that specialize in payroll administration can help you manage all of the details and minimize mistakes. 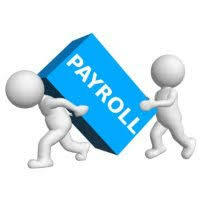 Payroll providers can also handle expense reimbursement for employees and provide other services. When payroll is outsourced, however, your company could be exposed to identity theft and other fraud risks if the service provider lacks sufficient internal controls. For example, sensitive electronic personal data could be hacked from your network and sold on the Dark Net — or old-fashioned paper files could be stolen and used to commit fraud. This level of assurance expresses an opinion as to whether controls are properly designed. • Auditors to identify in the audit report any tests of control objectives and related controls conducted by internal auditors. Further, auditors are prohibited from using evidence on the satisfactory operation of controls in prior periods as a basis for a reduction in testing in the current period, even if it’s supplemented with evidence obtained during the current period. When an audit is complete, the service auditor typically will issue a report to the payroll company. As the customer of the service provider, it’s then up to you to obtain a copy of the audit report from the payroll provider and distribute it to your financial statement auditors as evidence of internal controls.